MAKE ENOUGH TEA FOR YOU AND YOUR FRIENDS – Large enough for brewing 3-4 cups, it’s the perfect kitchen accessory for hosting guests or brewing up a custom cup of loose leaf tea. 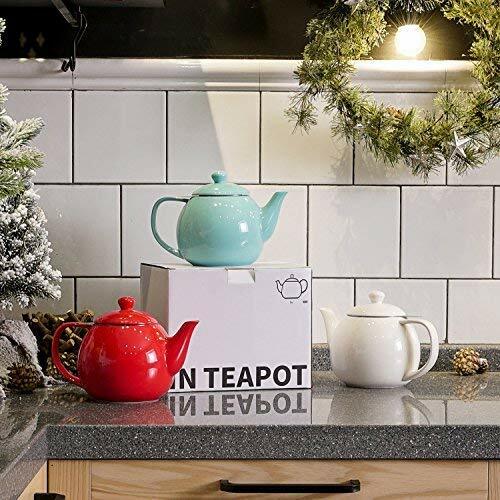 This elegant microwavable glass and brushed silver stainless steel 40 ounce teapot is made from premium materials and is designed with convenience and great design in mind. This makes a great gift for Christmas, Birthdays or Anniversaries! 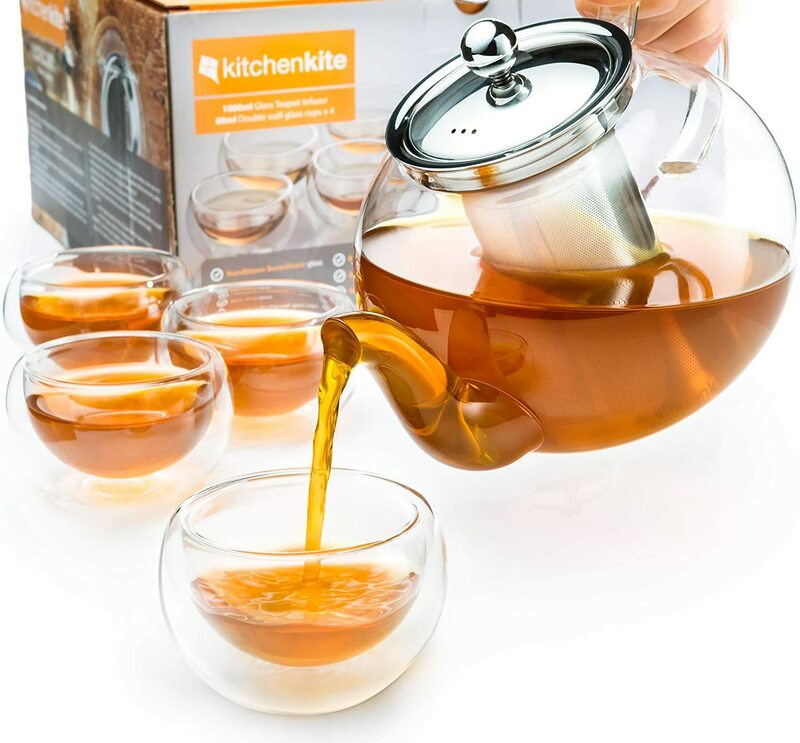 MICROWAVABLE FOR YOUR CONVENIENCE – Because this tea kettle is all clear glass (with removable stainless steel parts), brewing up a custom cup (or two!) 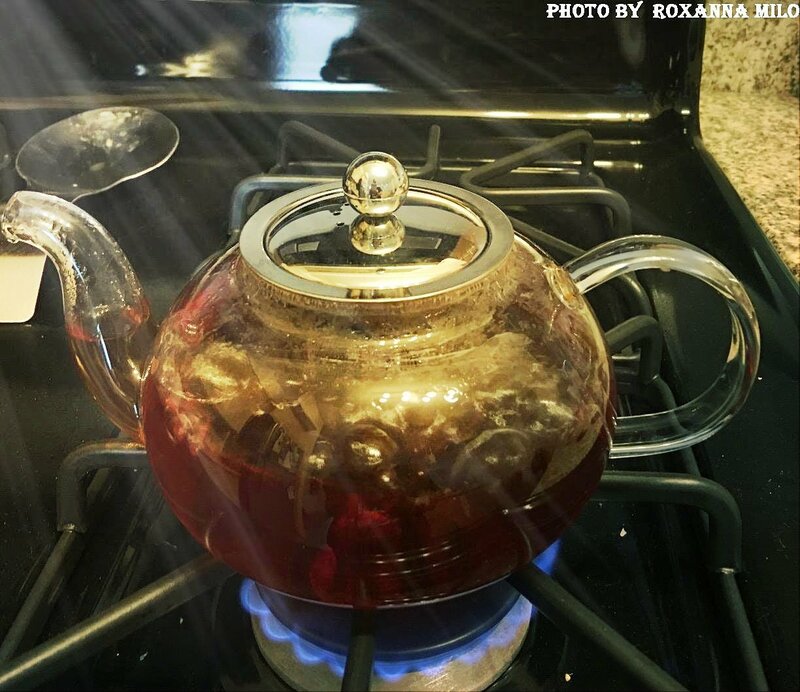 of hot tea has never been easier. Simply fill with water, remove the lid and stainless steel infuser and pop it in the microwave to boil your water. 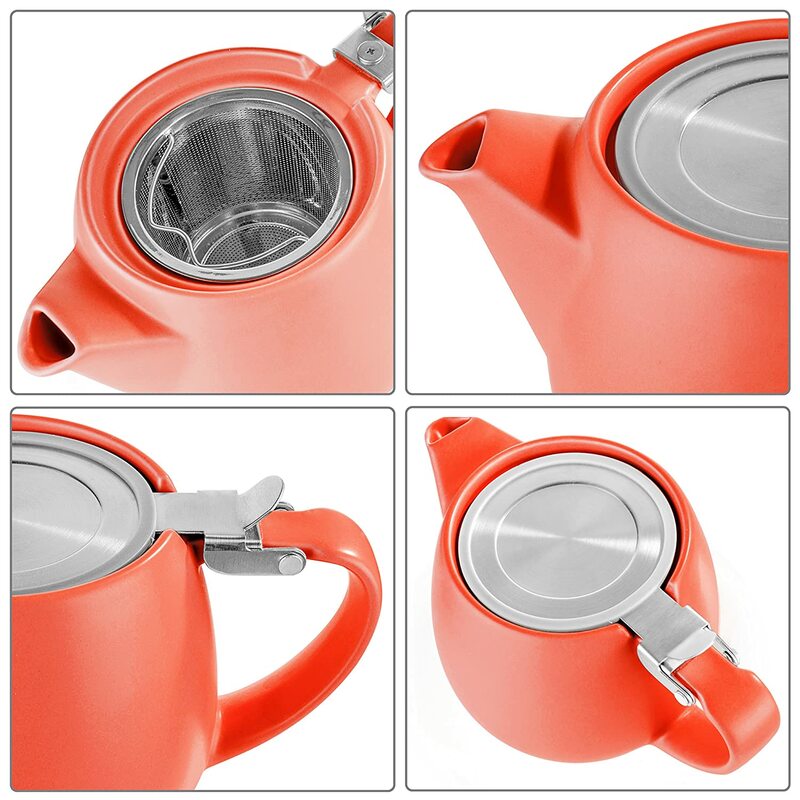 This teapot eliminates the need to boil water separately and lets you do everything right in one teapot! 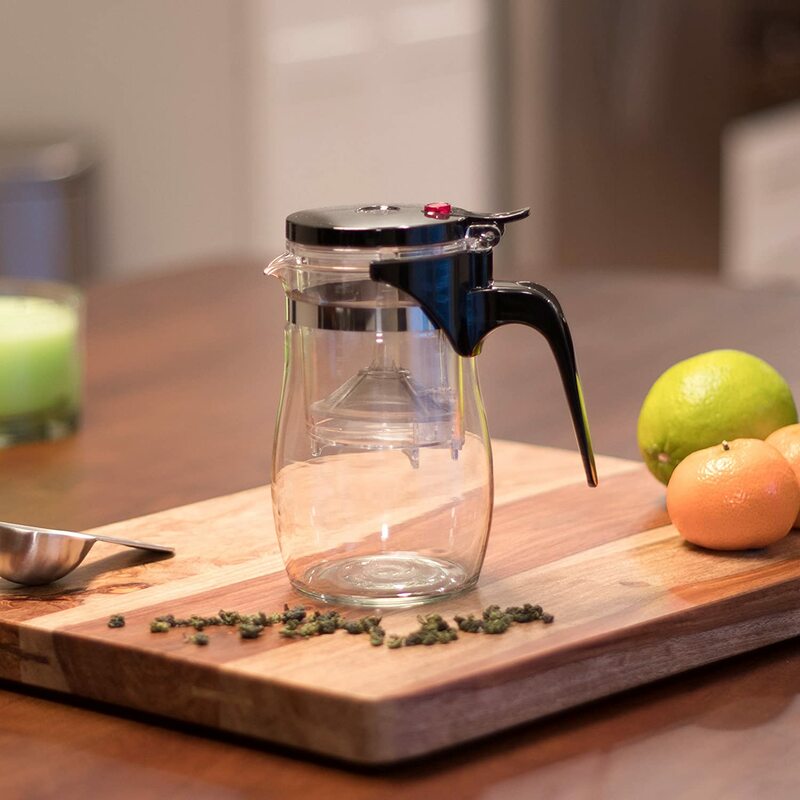 SPILL-FREE LID AND RUST-FREE INFUSER – A well designed stainless steel lid locks into place and ensures water doesn’t leak out of your tea maker. The brushed stainless steel accent looks great in any kitchen, is easy to wipe clean and adds elegance to your kitchen table. A removable 18/8 stainless steel mesh infuser is rust-free and allows you to steep any type of loose tea leaves and brew your tea to any desired strength. CUSTOM FIT TEA COZY KEEPS YOUR TEA WARM – Whether you’re alone or with friends, sometimes lingering over a cup of tea is just what you need. Now, with the included black custom fit cozy that zips securely around your teapot to keep it warm there’s no need to rush through your pot of tea or constantly reheat it! 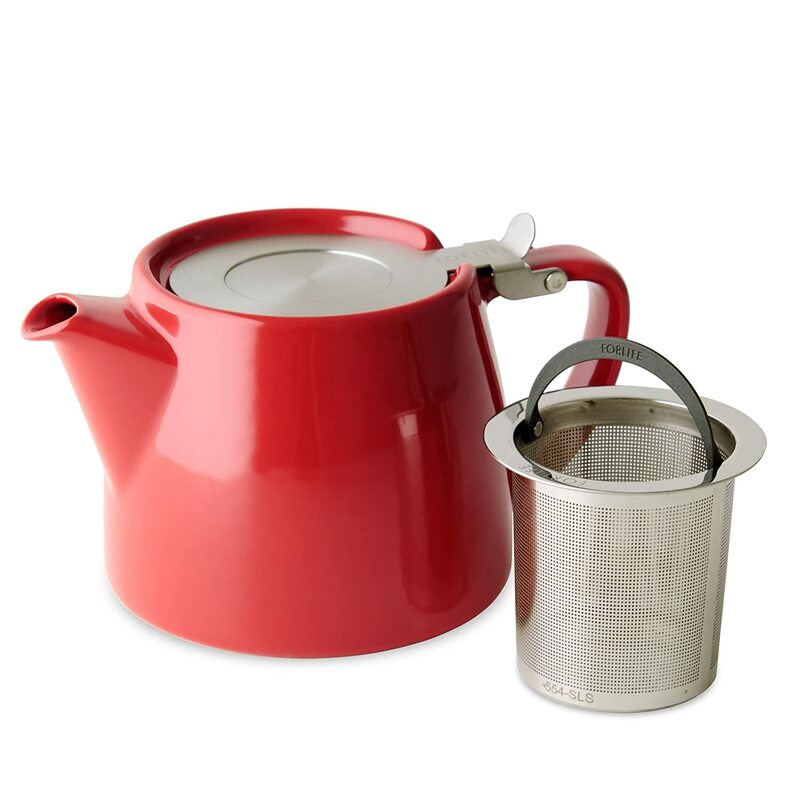 The new released edition comes with delicate lid and infuser made of 18/10 stainless steel. Also we pay more attention to the finish and workmanship. 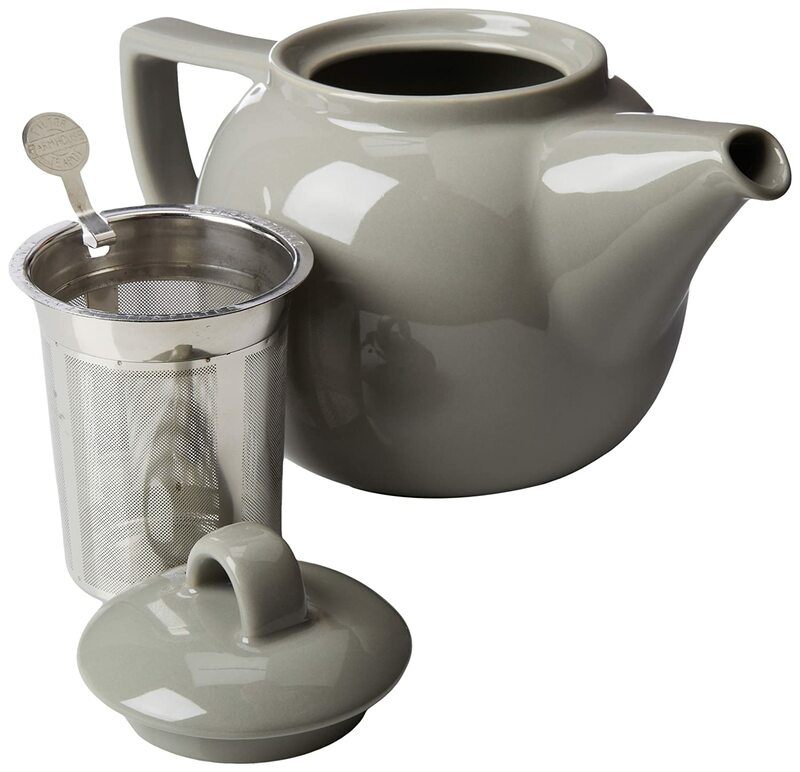 This larger Geo Teapot features a 4 cup, 36 ounce capacity. 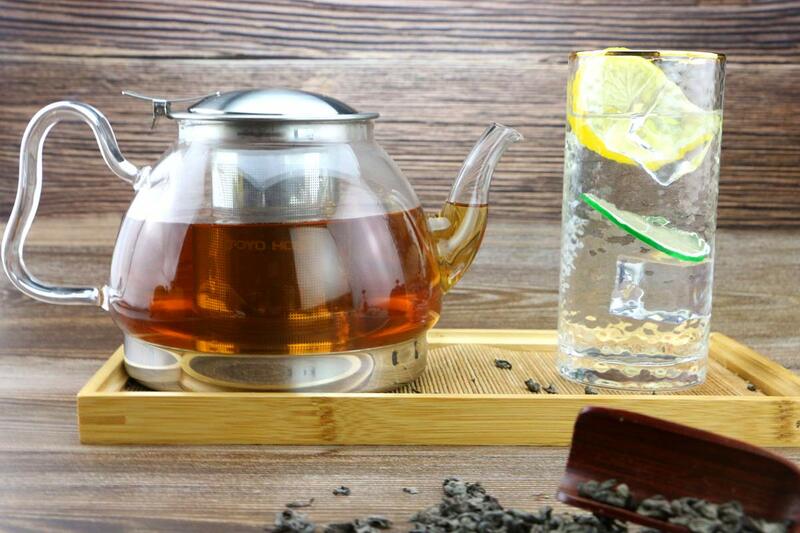 HANDCRAFTED TEA POT Our gracefully shaped teapot is handcrafted of clear glass, so you can watch the steeping process in action and know exactly when your tea is ready. EASE OF USE & BEST INVESTMENT! The tea pot has an infuser placed within the teapot itself. This provides a convenient way to steep the tea without having to worry about sediment floating around, or having to use multiple tea ball infusers for a single pot. This tea maker is suitable for flower tea and leaf tea. 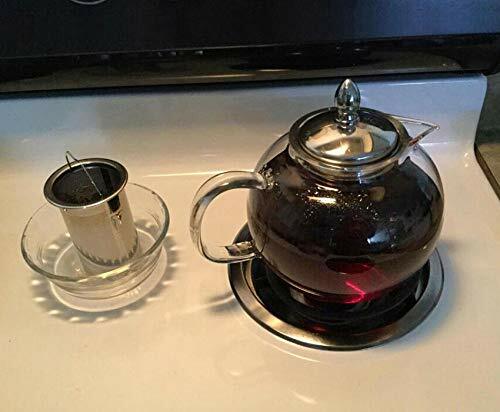 The teapot can easily be used in the microwave (with the strainer removed) or on stove for your convenience, allowing you to forgo the process of heating the water separately. EVERYDAY TEAPOT – A perfectly serviceable teapot. Sturdy, pleasing shade, nice weight, size of 27oz. It is a beautiful happy, high gloss and very classy. Just makes you happy to walk into the kitchen and start your tea time! 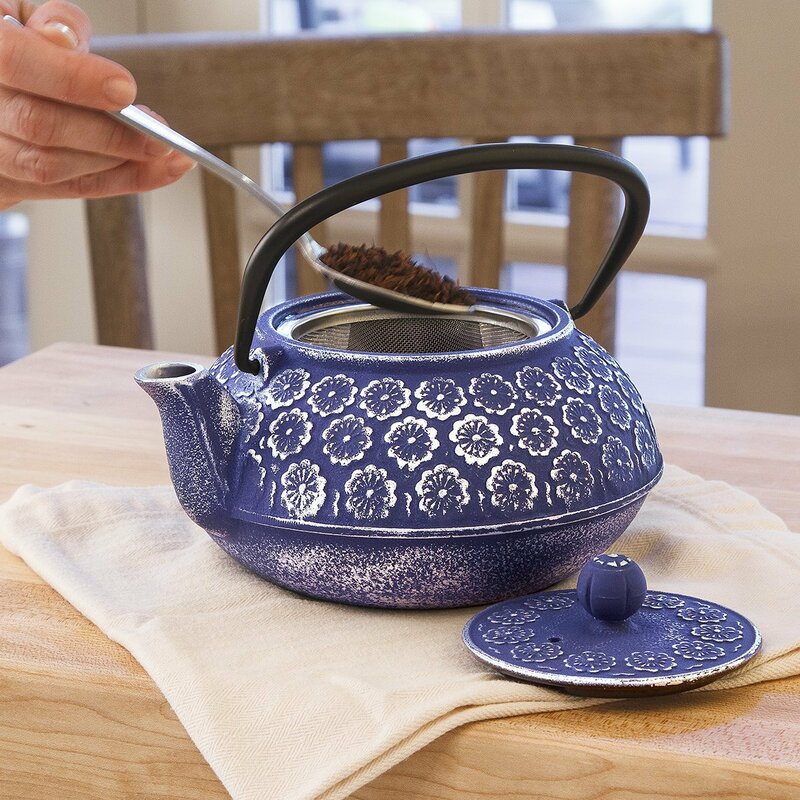 TEA MADE IN THIS POT TASTES AND SMELLS FRESH & FLAVORFUL – The handle is the correct shape to allow for easy pouring and the spout doesn’t drip. The lid has a silicone gasket which keeps the lid on tight when you pour. With a good quality stainless infuser, it fits well and is large enough for your loose tea to move as it steeps. ENOUGH TEA FOR TWO MUGS – Absolutely perfect for one to two drinkers as it holds two mugs or three teacups. If you might want more than one cup but don’t need a large teapot full, this is just the right size. Make your tea and not have any go to waste at the end of the day. BEST TEAPOTS ARE PORCELAIN! 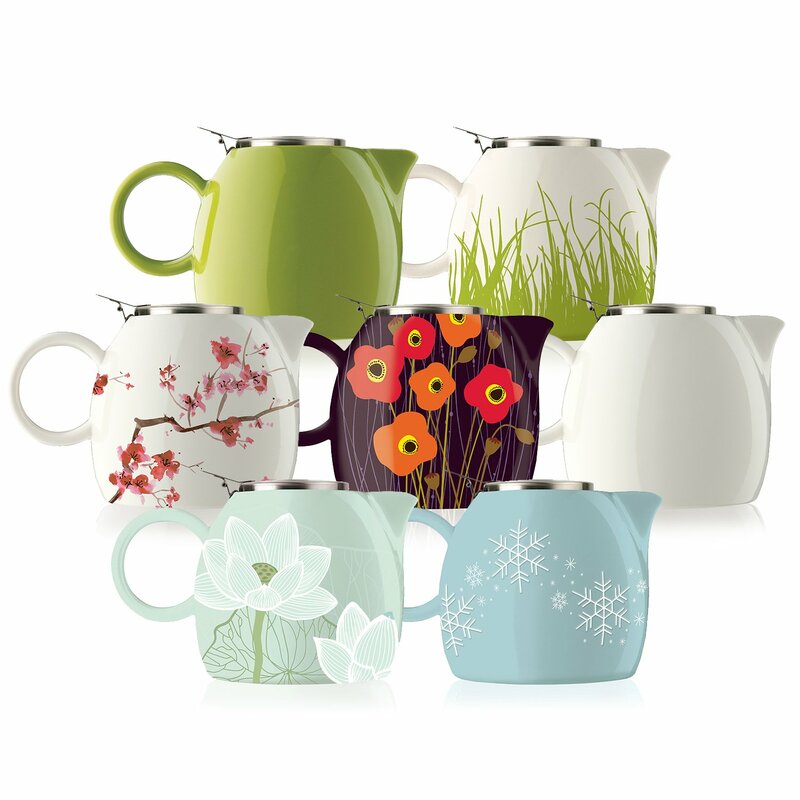 Tealyra teapot is porcelain made because this material is the best for brewing large – and small-leaf or herbal tea. Porcelain perfectly withstands high temperatures, serves for a long time without losing its functional qualities and appearance. 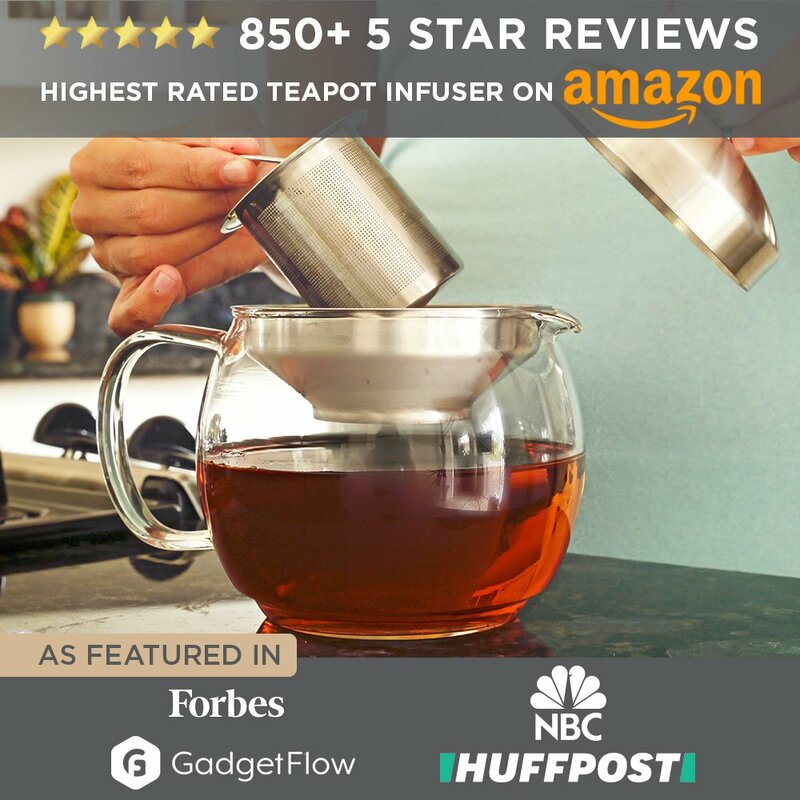 Tealyra – 37-ounce LYRA TEAPOT – Stove-Top Safe – Large Borosilicate Glass Teapot – Kettle – w/Removable Stainless-Steel Infuser – Best For Loose Leaf and Blooming Tea. 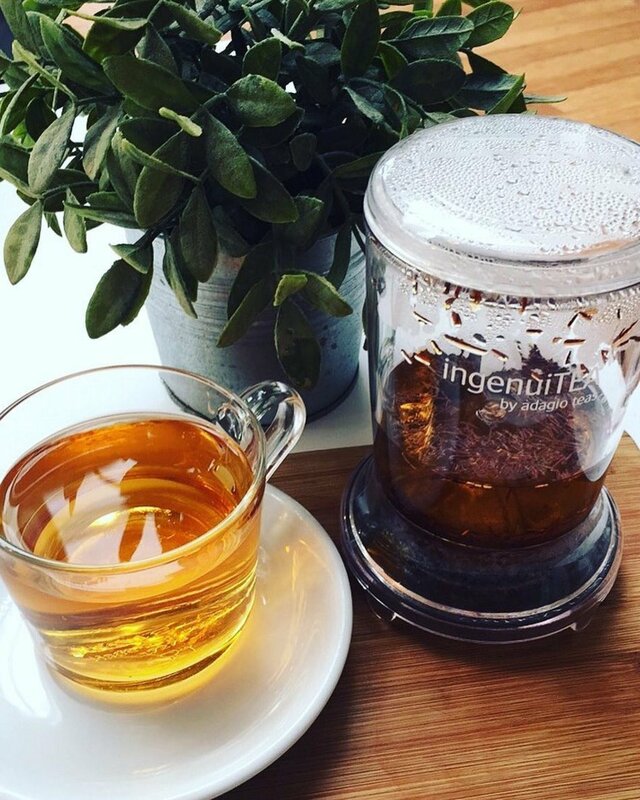 A MOST WELCOMED GIFT for tea lovers, by itself or paired with any of our handcrafted loose leaf tea blends. Stovetop Safe–Works with any heating surface, including gas stoves, electric cookers, and ceramic surfaces. 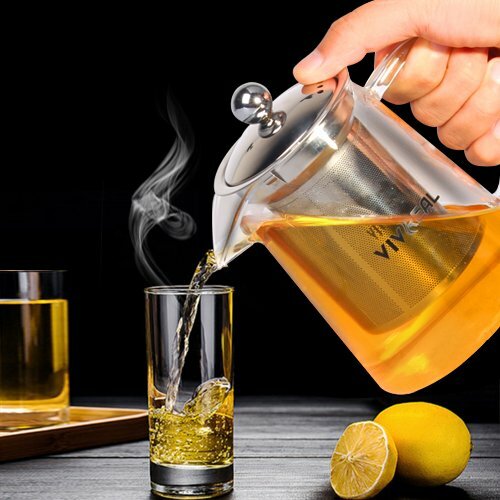 Removable Infuser–The food grade 304 stainless steel teapot infuser is designed with a small handle so it can easily be removed from the tea pot to stop the steeping process. Convenient and stylish–The Push-on-Lid is an innovative feature designed to give you greater flexibility in tea or coffee making process and ease of care and maintenance. High Quality— This teapot is purely hand crafted, made from heat resistant borosilicate glass. Specially designed with non dripping. 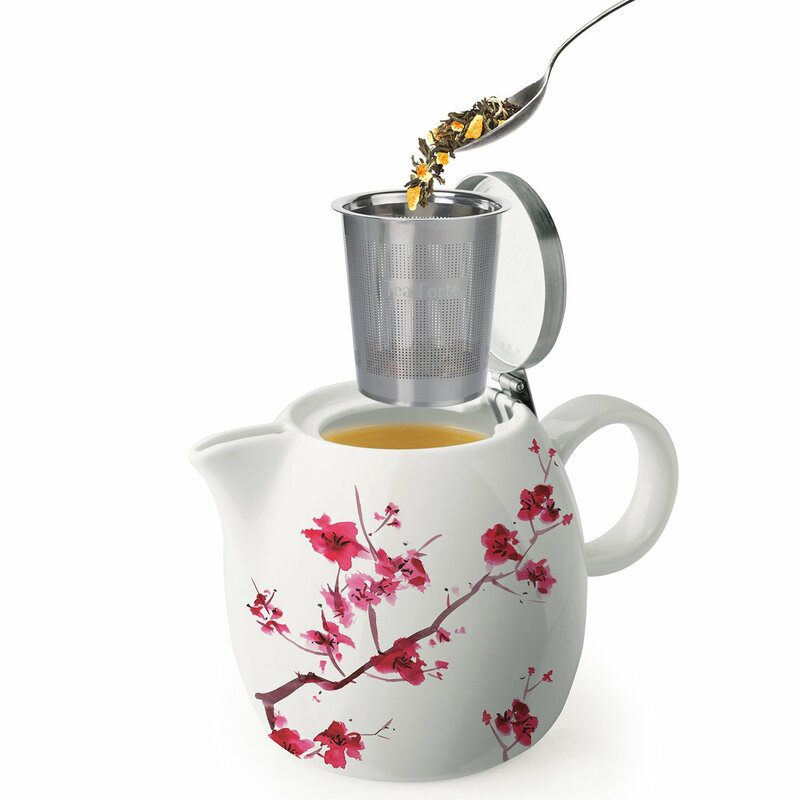 EASY TO CLEAN – One of the only teapots of its kind that has a removable filter inside the infuser for easy cleaning. Fold-down handle and short curved spout enable graceful pouring.